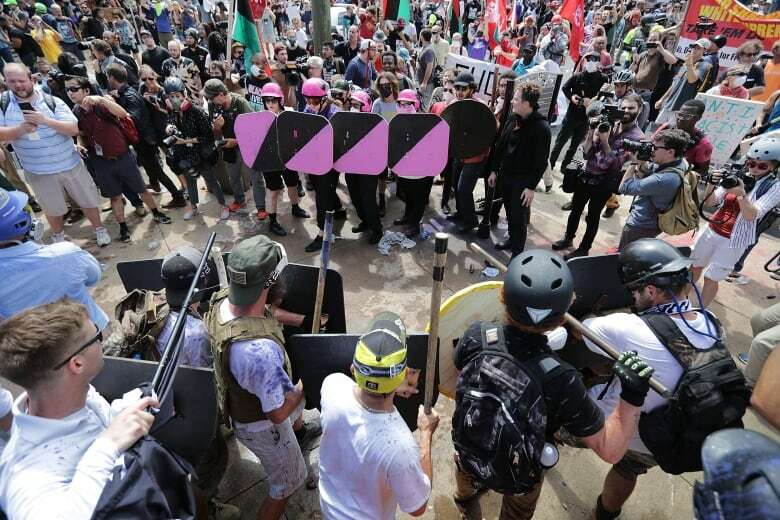 Historian and former Occupy Wall Street organizer Mark Bray explores the contemporary anti-fascist movement, known as Antifa. 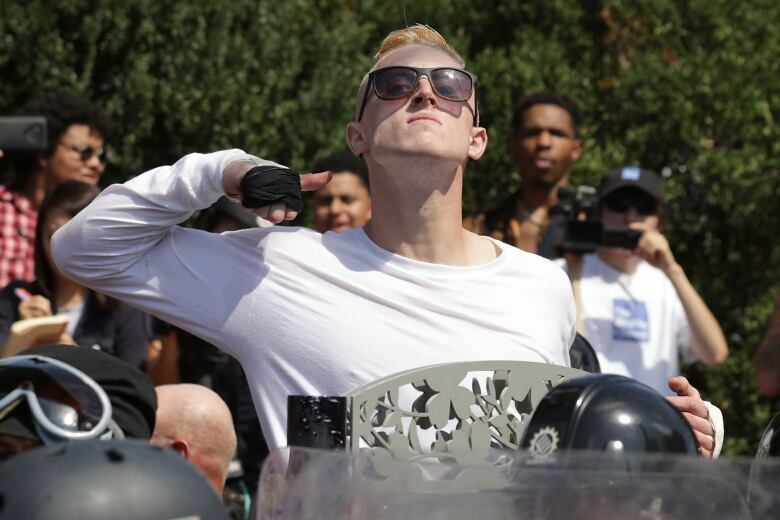 There is a long history of fierce resistance to the extreme right and white supremacy — a history rooted in violence. Ever since there were fascists, there have been anti-facists, a movement also known as Antifa. Their tactics and philosophy are explored by one of the original organizers of Occupy Wall Street, Mark Bray. 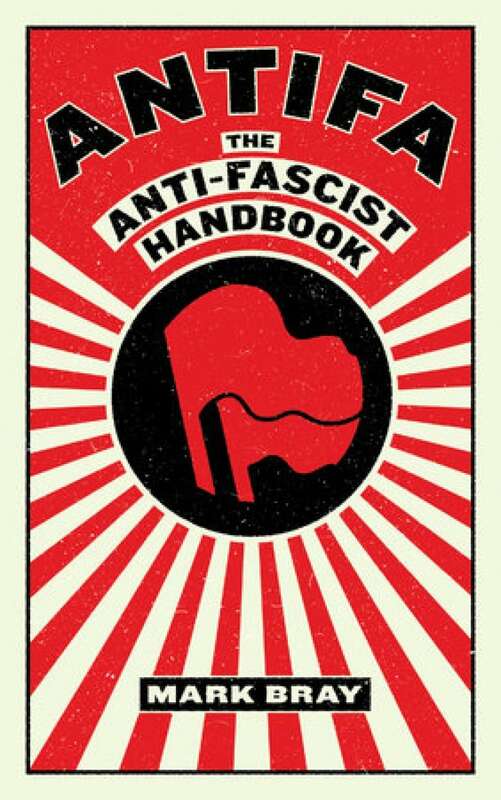 He interviewed anti-fascists from around the world to create The Anti-Fascist Handbook. Bray points to the Cable Street battle as symbolic, key moment in history for anti-fascism and says it's a model for many anti-fascists of popular resistance against fascism. "In London, in 1936, the British Union of Fascists, which was increasingly anti-Semitic ... planned to have a confrontational march through the East End of London, which was an immigrant neighbourhood but especially a Jewish neighbourhood," he explains. Many residents, leftist organizations and Jewish organizations were concerned about spiraling violence and did not want the neighbourhood march to take place. "What ended up happening is essentially about 6,000 fascists show up but more than 100,000 antifascists showed up, surrounded them and prevented the event from occurring." 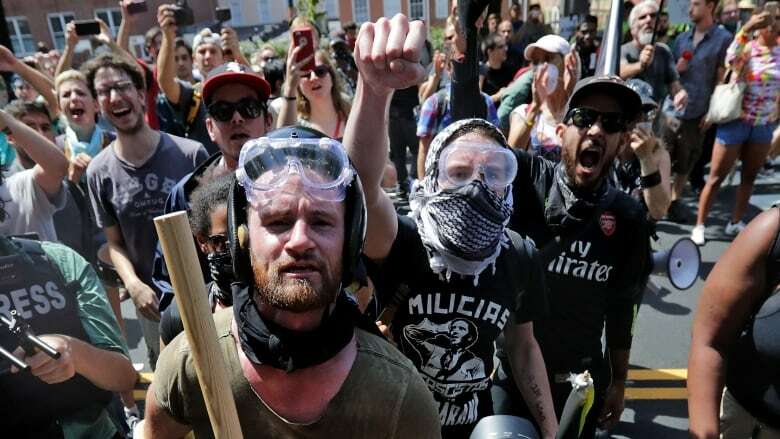 Bray says in the wake of the deadly violence in Charlottesville, Va., and the initial reluctance by U.S. President Donald Trump to denounce white nationalists, people are now more interested in learning about Antifa. "[People are] more sympathetic towards direct action tactics to defend ourselves against the neo-Nazis." Bray points to fascist violence both throughout history and today "as the greatest threat to humanity" and says it is unparalleled. He says history shows communities under attack need to be ready to defend themselves. "Self-defence is a legitimate response — historically and present day — to the threat of armed and organized white supremacists and neo-Nazis," Bray says. "As a Jewish person who lost relatives in the Holocaust, this is a deeply personal issue for me and I'm determined — and anti-fascists are determined — to never make that mistake again." Bray believes the Antifa movement will grow in the short-term but hopes the appeal of the alt-right dissipates. However, in the meantime, he suggests there's an urgency to resist fascism. "We saw Heather Heyer die. We've seen the attacks on LGBTQ centres, in mosques and desecration of cemeteries. And it's better to take it a little too seriously now than to not take it seriously enough and pay the price later. " This segment was produced by The Current's Howard Goldenthal and Julian Uzielli. How should Canadians respond to the alt-right?